Updated October 1st for adding a link to the official Facebook page with the October calendar info. Updated September 22nd for correction on Mobius Day info and adding of the dates for Shiva and Odin’s addition in multiplayer. 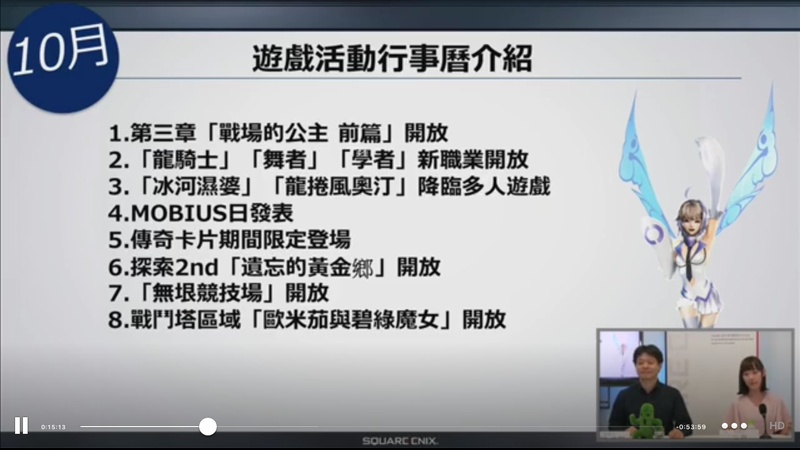 A Chinese-Japanese Square Enix Presents live stream happened earlier today detailing all the additions coming in next month’s update. It’s a big one this time! Shiva and Odin will be added to multiplayer. Shiva will appear starting October 6 and Odin will show up on October 13. As usual, these will be at 19:00 UTC-8. Now, about the Mobius Day~! For versions outside of Japan, Square Enix is doing something different! 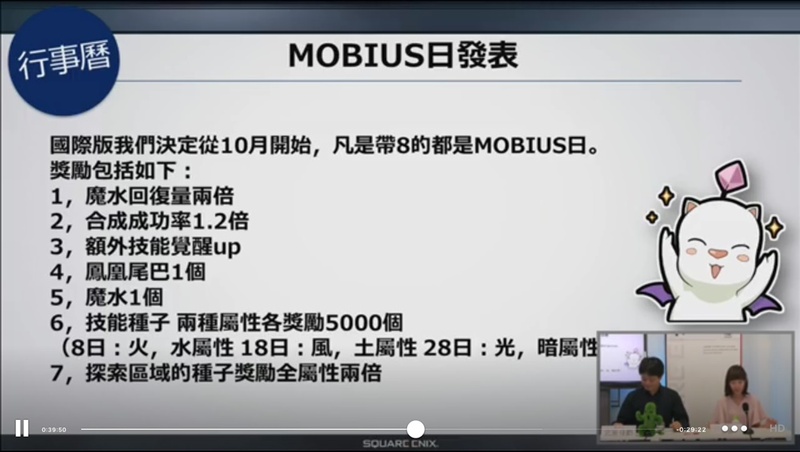 Instead of simply one or three consecutive days per month, every 8th in a month will be a Mobius Day. 5000 Skillseeds per element being handed out on certain days in October. On the 8th day, 5000 Fire and Water seeds will be given out. On day 18, 5000 Wind and Earth seeds, and on day 28th, 5000 Light and Dark seeds. All Skillseed bonuses will be upped to x2 for exploration regions. Links and more information under the cut. For global, I have a feeling that these Pictlogica cards will be treated the same way as the Final Fantasy Record Keeper ones where there will be two batches in the summon shop. .Incidentally, Pictlogica FF may be available in your local app store but the game is entirely in Japanese. It has never received an English localization. It sayss the Mobius days will be held each 8th, 18th and 28th of the month, starting in October, for the international version.